The Samson Mk II is a dual-axis, gyro-stabilized, dual-sight remote-controlled weapon system capable of mounting multiple weapons. Based on the Samson Mk I, the Mk II offers improved combat capability with a lower silhouette, optional armor protection, improved hit accuracy, under-armor reloading, increased rigidity and higher gun elevation capabilities. The Samson MK II supports main and secondary armaments, including a 25mm to 30mm main gun and a secondary 7.62mm coaxial machine gun with an optional 40mm grenade launcher. An anti-tank guided missile launcher and smoke grenade launcher are also optional. 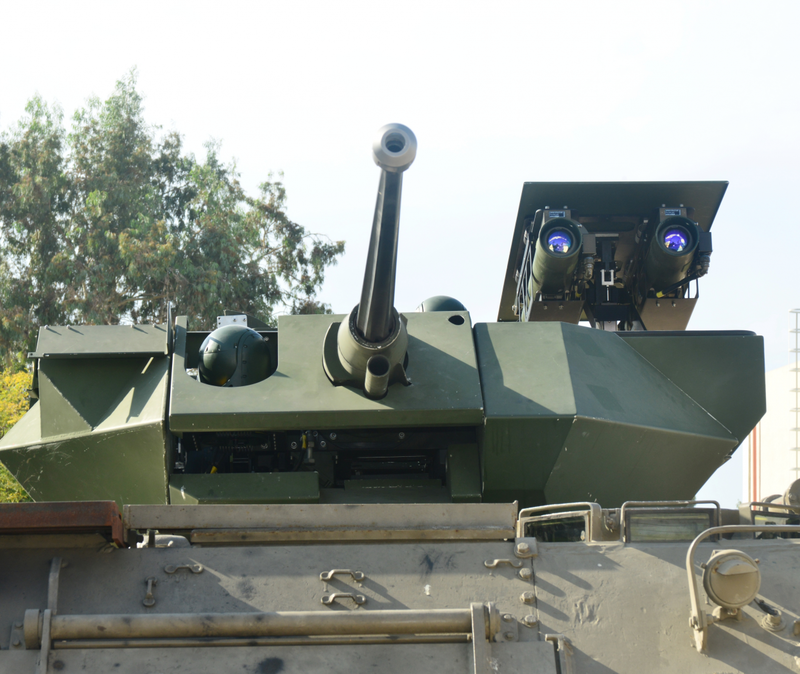 The Mk II is lighter than manned turrets and does not require penetration into the vehicle hull, saving significant interior space. 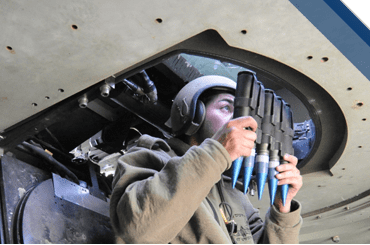 The in-hull reloading system boosts crew survivability, and the low silhouette enables the platform’s surfaces to easily accommodate protective armor, ranging from STANAG level one to four. Low silhouette with under-armor reloading for any 6 x 6, 8 x 8, or tracked armored fighting vehicle.